I was supported by Dave Rayner Fund for 2016 & 2017 so this will be my third year. I've always enjoyed cycling from a young age; I would ride to school and do the odd ride with my mates. I got into the sport competitively in 2015 at the age of 17 under the guidance of Audlem cycling club and have been hooked ever since. After finishing college I wanted to pursue cycling more. I continued the first part of the 2016 season with Audlem CC they helped me participate in my first UCI race during my time in the UK before moving to Belgium at the end of May for 4 months with the Handi-ness organization. I progressed to a Belgian team after being there for a few weeks; this then allowed me to compete in numerous Interclubs and a Stage race. The style of racing is great and I've learnt so much over there. I hope to further progress this season with the support of the fund and my new team. 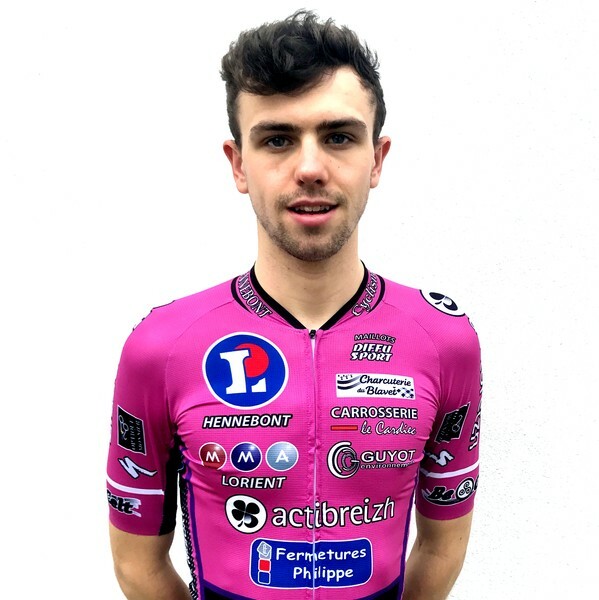 For 2018 I will be changing country and joining Hennebont Cyclisme which is based in the town of Hennebont in Brittany, France, not far from Lorient. The team seems to have a track record of previous Rayner funded riders along with moving riders through the ranks. My race programme consists of national elite road races around Brittany and France. Diffu sport manufacture the kit and the team will be riding Specialized bikes. I don't have a lot of interests out side of cycling, but I like thinking of new ideas and creating things, I have an old SLR film camera I like to use occasionally.